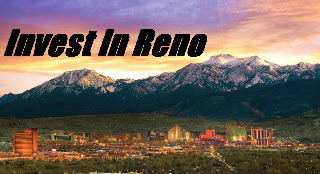 A blog about living, working and playing in Reno, NV. 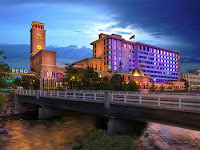 What's happening in the Reno/Sparks/Lake Tahoe area and why choose to live here. I often get strange looks when I respond to someone’s question regarding what was a key catalyst to the sea change in attitude around and about Reno. The financial meltdown of less than a decade ago was one of the best things that could have happened to our area. Though we all financially suffered, some more than others, through the greatest shift in wealth the country has ever seen (and hopefully ever will), what happened post meltdown was amazing to see and be part of. Egos were checked at the door and we, as a community, brushed ourselves off and came together to figure out what we can do to move the greater Reno metro area forward into a functional, sustainable regional economic player without sacrificing the incredible quality of life. Futurist Alvin Toffler stated, “Change is not merely necessary to life - it is life.” It’s an evolutionary fact: change or face extinction. For too long the region has relied on gaming and mining to do most of the heavy lifting regarding state and local coffers. It’s not only myopic but unfair to those industries to carry the burden as one continues to decline and the other is cyclical at best. Gold alone has dropped under $1300/oz compared to its high of over $1900/oz 6 years ago. What was needed was a community mindset change. That is what we see happening today. Reno will be successful in spite or because of itself. With the collective positive change in self-image, I see it as the latter. Operation Downtown panel which is a results-driven group of stakeholders, primarily from the private sector, that is defining the top 3 priorities to focus on for downtown revitalization. I am very actively involved. And yes, results will come of this! Blight Reduction/Code Enforcement – The city has already noticed the investment group that owns 2/3 of a blighted downtown city block that they are moving forward with the demolition, paid for out of the budget surplus with a lien being placed on those properties. Code enforcement is busily hitting similar properties and owners in the downtown core with similar code violations. downtown property owners due primarily to the Tesla announcement and UNR’s master plan showing the university moving south. As most of us agree, these announcements, though monumental, won’t really affect our economy for some time. 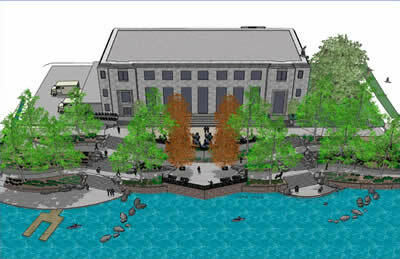 UNR, by far, will contribute more to our economic development than any one company. Our Tier 1 University is a crown jewel of the region, one we must do a better job promoting. The commercialized technology coming out of The Nevada Advanced Autonomous Systems Innovation Center (NAASIC) will far eclipse the economic impact of Tesla. Time and space does not allow me to expand on what our Medical School and Business College brings to the table. book, The Next American Economy, is filled with chapters of cities that have done what we are doing…pulled themselves back from the brink. We have the pieces; we have the tools; we certainly have the will and capability. As we have seen with the modicum of success of our MidTown District, it takes a strong belief from the private sector, to drop that pebble in the pond. Hillary Schieve and Jessica Schneider had a vision and created the MidTown brand. Followed by the small developers including The Carter Bros and Marmot (to name the most notable) MidTown became our new, hip place to eat, work and live. The Riverfront is doing the same. Throughout many urban core environments around the country and globe, repurposing dilapidated, obsolete structures into new highly functional facilities is not only historically conscious, but financially sound. The downtown motels destined for demolition do not fit into this category, as they hold no historical or financial value. We, as a city, must choose wisely! With a continued depressed downtown core, Reno is ripe for repurposing many of the existing buildings that have long since outlived their intended purpose, whether gaming, motel or T-shirt shop. Many of these can be remade into residential, the key to attracting the much-sought-after retail. We need more downtown residents that will drive up the median income, increasing the tax base and providing a compelling reason for something like a supermarket opening up here again. The challenge still remains reasonable sellers. That notwithstanding, Reno has already created several re-visioned properties, with more on the board (images spread throughout this post). Tesla, Switch and the yet-to-be identified big players have certainly put us on the map in a very positive way. Once nonexistent on site selector’s radar, we are quickly rising to the top. We have an incredible quality of life and story to tell. Mr. Holstein, here’s to writing the next chapter! Though home prices in the Reno/Sparks area continue to rise (average of $530,000), it pales in comparison to the San Francisco Bay area. Add in our incredible quality of life and lower cost of living and one can easily see why moving to the Reno/Sparks area makes so much sense. This article published in The Guardian, articulates the growing chasm between the haves and have nots. As most of the employment is tech sector, workers can ply their trade from most anywhere. Many are finding out that where they are currently is not ideal for starting to build a nest egg, never mind raising a family. Millennials, Gen Xers and baby boomers who routinely come to the Sierras to play are starting to take notice in larger numbers. Would you rather spend hours on the Dumbarton Bridge or 45 minutes driving through the Sierra Foothills on the way to Lake Tahoe? 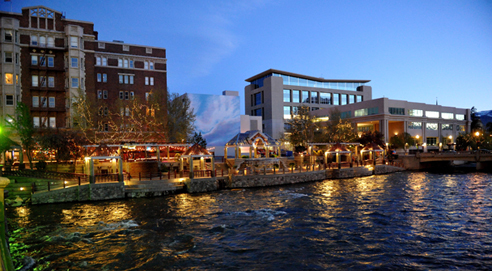 Reno and Sparks continue their respective re-inventions as gaming continues to consolidate, especially in downtown. A number of casinos have/are transitioning to non-gaming, with flags like Marriott in downtown at soon to be 2 locations, the Courtyard across from Greater Nevada Field (the Aces Triple A Baseball park) and the former Siena which will become a flagship Renaissance by Marriott. 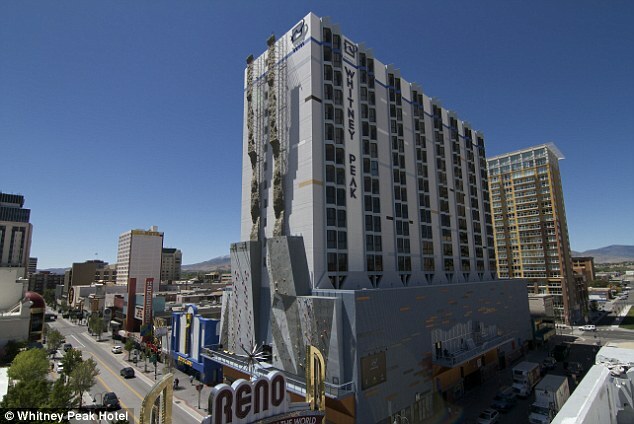 I would also look at Harrah's being repurposed, maybe something in conjunction with UNR. 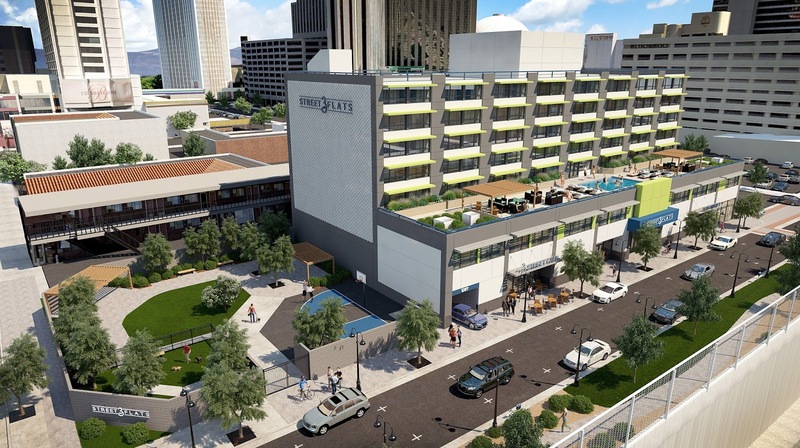 As more people move to the downtown/Midtown sections of Reno, retail is making it's comeback. West Elm, a William Sonoma branded home decor retailer, just opened in the remodeled former downtown Post Office building. Outdoor outfitter Patagonia has announced it's moving it's outlet store downtown, as well. Foodies have more reasons to celebrate with new restaurants opening almost weekly it seems. Housing and schools play a key role in the relocation decision, both are being rapidly addressed. On the rental side, both market rate and affordable housing units continue to come out of the ground to handle the influx new Nevadans. On the for sale side, there is certainly a lack of available homes for sale, especially resale. New homes are coming on line quickly, many at a bargain compared to the Bay Area. Though the area has Tier 1 University of Nevada/Reno (UNR) that boasts one of the top business and engineering colleges, our K-12's are in need of improvement. There are a number of neighborhoods that have excellent schools (Northwest Reno and South/Southwest Reno), but that leaves a large portion of the community lacking. There are measures being taken for a sustainable solution, including an upcoming ballot measure promoted by SOSWashoe to address this key issue. This will be a deciding factor for many looking to the area with families, key to educating a growing workforce requirement. Companies, large and small, are moving their headquarters, manufacturing and distribution facilities here (from the well known Tesla Gigafactory to Mary's Gone Crackers). Due to business-friendly tax and licensing practices, Nevada continues to lead in garnering it's share of relocation. Northern Nevada is certainly on the radar of national site selectors. Affordable housing and available workforce are 2 keys to the area's success. It all comes down to work/life balance. As the economy improves, people become more mobile. As the dynamics of our workforce changes, mobility also increases. Just as with the Bay Area, Reno's changing workforce will tell us what's important to them. We, as a community, just need to listen!